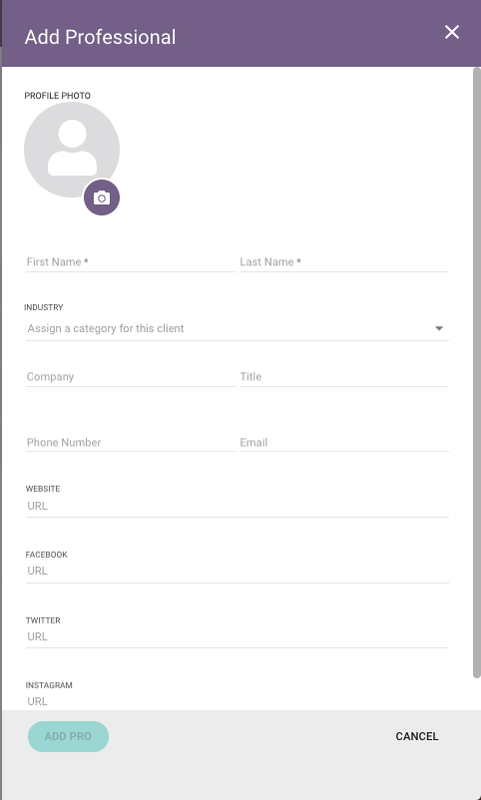 Store all of your professional referrals in one place for simple send to your clients in your real estate CRM. Your RealOffice360™ Professional Network is a central place for you to store and send out all of your referred professionals to your clients. Mortgage Brokers, Home Inspectors, Real Estate Lawyers, Interior Designers and many more. You can add anyone that you work with in your business, customize their industry and send them to your clients at any time. You can add an unlimited number of professional contacts to RealOffice360™ by clicking on the “Add Pro” button. Once you have a professional added to RealOffice360™ you can email their contact information directly to your clients anytime, unlimited times, unlimited professionals in each email. Click on the email icon and send away.